we had the pleasure of designing and planning both the rehearsal dinner and wedding of emily and lucas back in july...and we're finally getting around to sharing with you some details from both events! 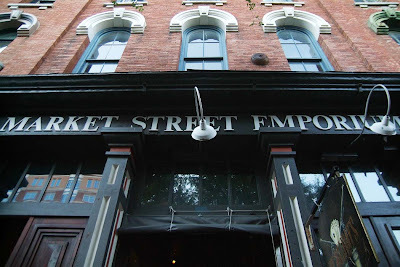 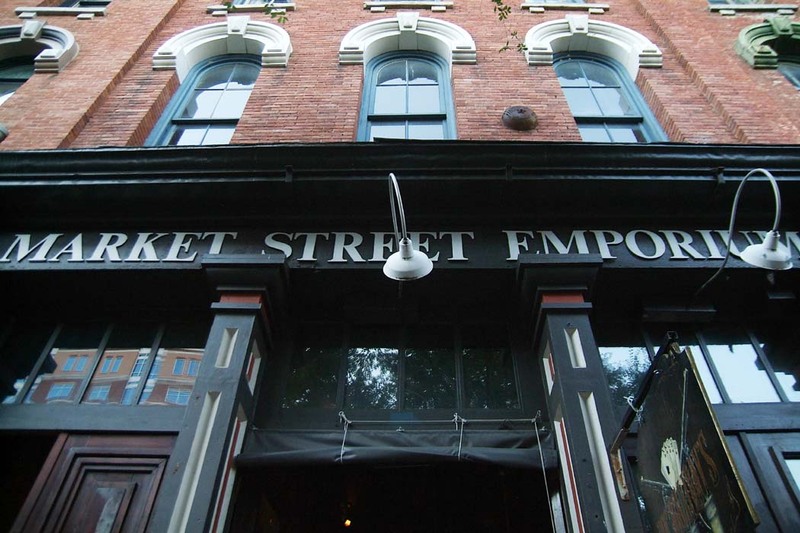 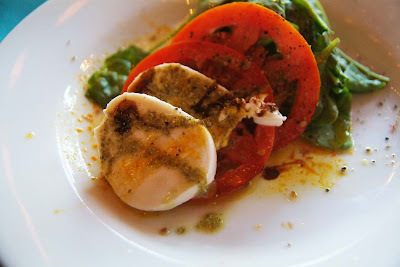 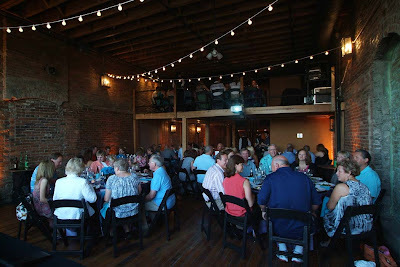 first up, the casual and fun rehearsal dinner at the market street emporium on 2nd avenue downtown. 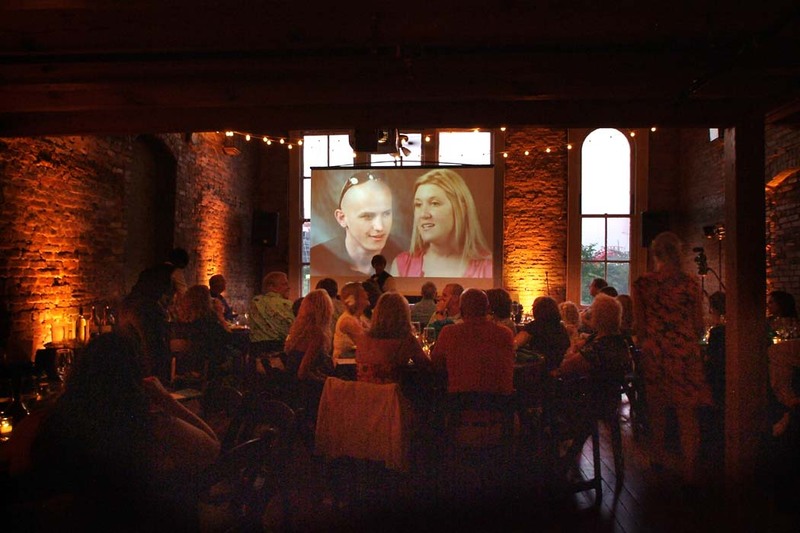 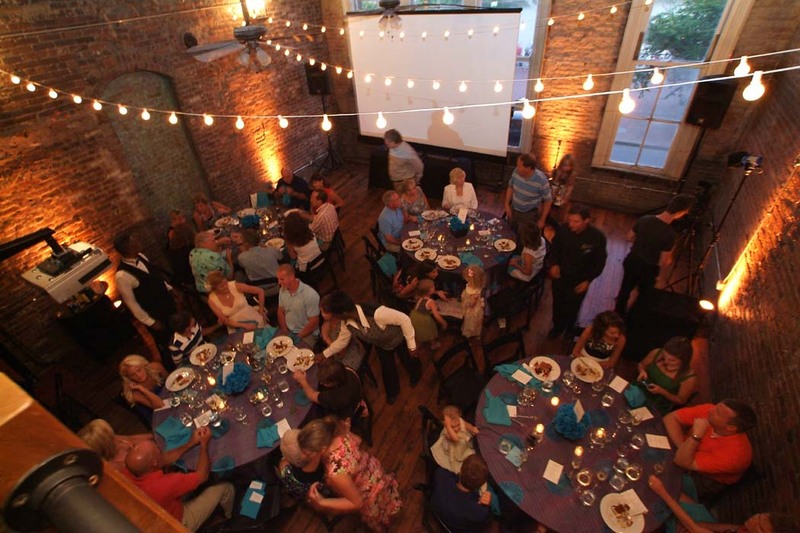 this venue's exposed brick and old world charm definitely make for a great event setting! we wanted to do something fun that related into the couple's wedding colors and look (post about that coming up soon), so we went with a purple and blue scheme with graphic flower shapes. 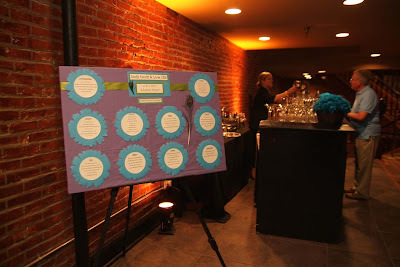 we placed the board with the seating assignments out in the cocktail area so guests could find their table as they mingled and enjoyed a drink. 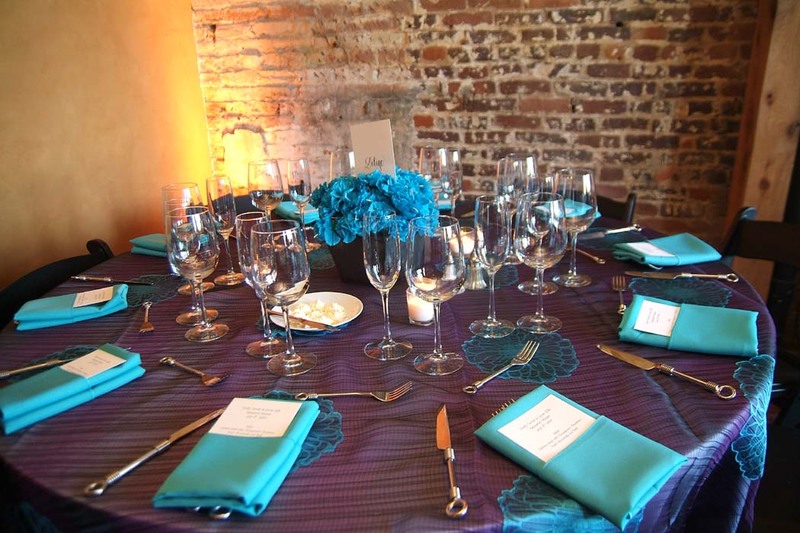 the table linens were awesome purple sheers with big aqua flowers, which we paired with aqua napkins. we wanted to do centerpieces that were inexpensive but still had a great look, so we found mexican paper flowers and arranged them in low black metal containers. 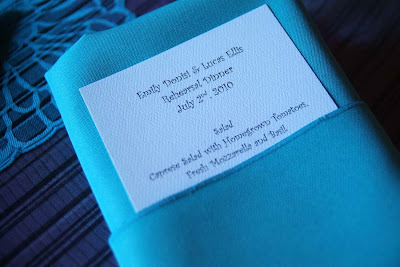 super cute and budget-friendly! 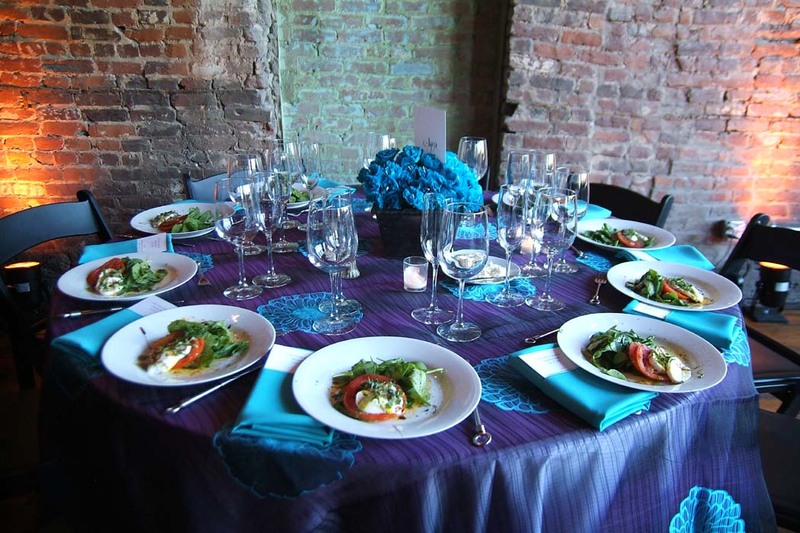 clean plate club provided a seated dinner of italian specialties, like caprese salad, chicken piccata, and tiramisu....yum! 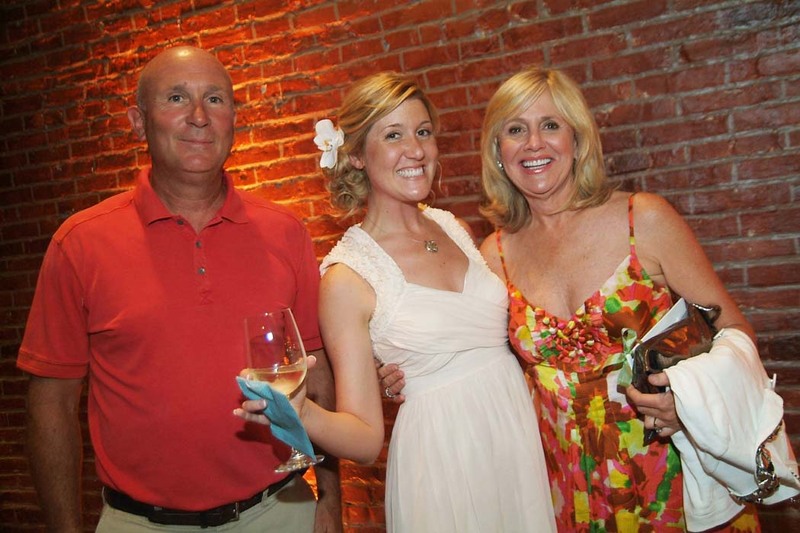 the lovely bride with her parents! full frame cinema played the charming video they had shot interviewing emily and lucas about how they met, started dating, and got engaged. so creative and all their guests really enjoyed hearing the stories! and then, at the very end of the dinner, there was a surprise for all...a perfect view out the windows of a huge fireworks show at lp field!! 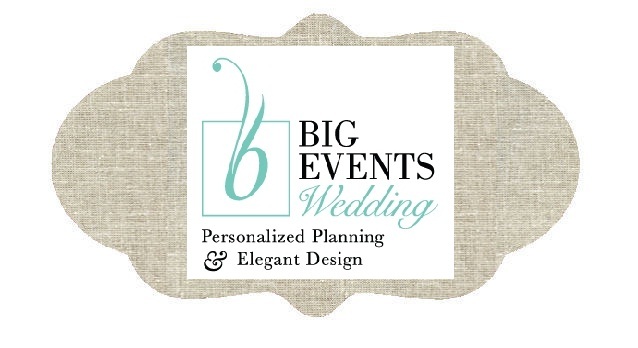 it was seriously like it had been planned especially for them! 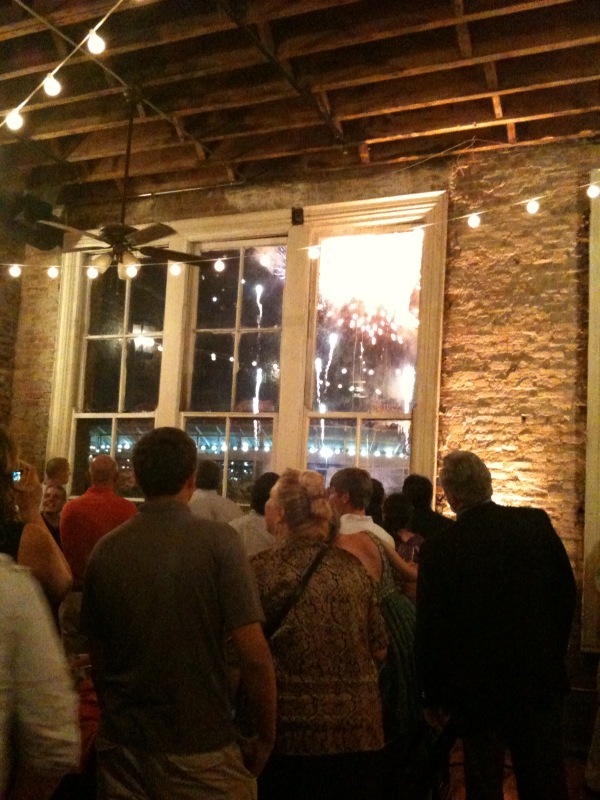 we happened to grab a photo with an iphone to prove that it actually happened! 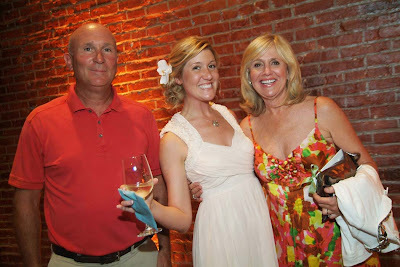 we'll be back soon with more on emily & lucas's wedding and reception...and thanks to paul wharton for the great pics!